An interesting malt pairing the best ingredients of the Old World with techniques of the New World, for rich and complex flavours. 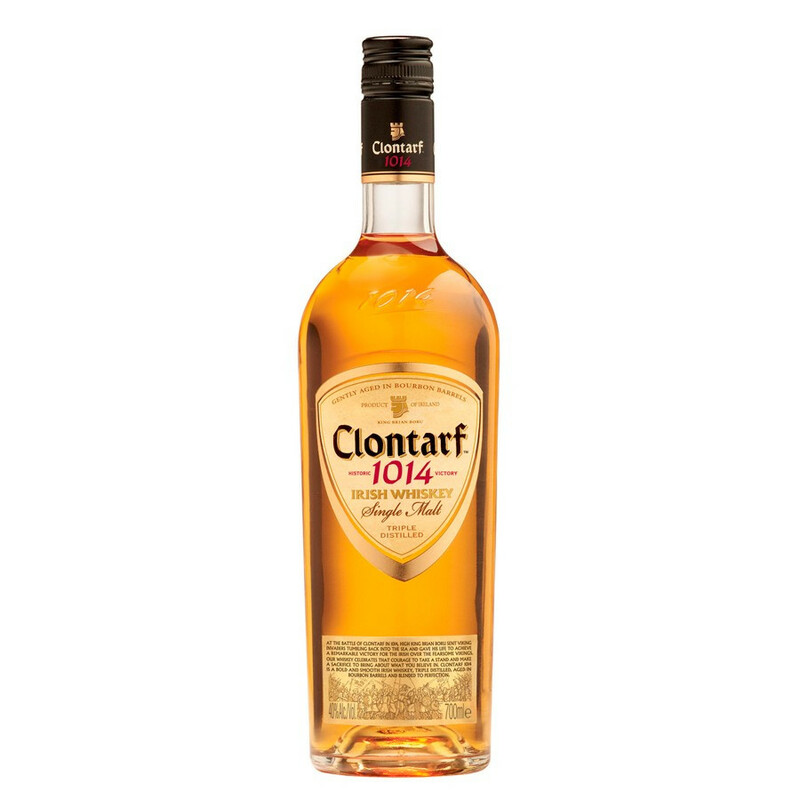 Pairing ingredients of the Old World and the techniques of the New World, Irish Whiskey Clontarf stands out with a specific style of its own. Only the finest grains and purest of Irish spring waters were used in the distillation process. Slow ageing in American Bourbon barrel confer this Single Malt its very well loved warmth and smoothness. Clontarf Single Malt is a very sophisticated whiskey, developing an interesting freshness, richness and full-rounded, malted, oaky flavours with a fruity backdrop. The distillery takes its name from a famous battle that took place on the Clontarf fields near Dublin, on Good Friday, in spring 1014. Irish King Brian Boru and his men fought and drove the Vikings out of Ireland, laying the foundation of the Ireland we know today. Ireland is known for its green hills and cascading creeks. Clontarf makes the most of this natural wealth and takes the finest ingredients Ireland has to offer for its distillation process. A perfect combination of barley, corn and pure source water makes Clontarf a quite aromatic whiskey with complex aromas and exceptional flavours. Nose: intense malted notes, with lovely intermingled oaky aromas, with caramel, honey and spices. Palate: malty, rich and distinguished character, full and round, with sophisticated woody notes of vanilla, honey, fruits and flowers over an interesting oily structure. Finish: of medium length and pleasantly sweet.